Targeted Therapy for Hepatocellular Carcinoma: What`s New? 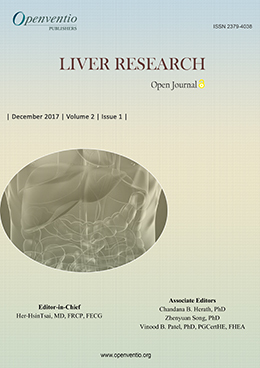 Liver Research – Open Journal (LROJ) aims to publish the latest research in the aspects of Liver and its diseases, treatments and updates to enhance the existing actions. Liver is known to perform varied crucial functions like protein synthesis, detoxification, metabolism and biochemical production. The liver is the only organ that supports every organ in the body. Liver is prone to several diseases due to its deliberated position and multidimensional purpose. Some of the common liver diseases include liver cancer, hepatitis infection, alcohol damage, genetic and metabolic diseases and some among them are treated and some needs transplantation. However, Openventio aims to widespread all the detailed matters related to functioning of Liver, treatments and its advancement. 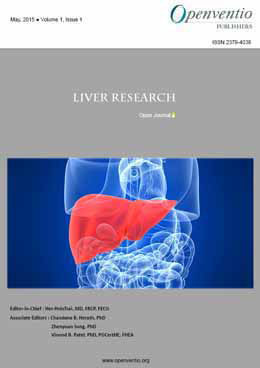 Liver Research – Open Journal (LROJ) is open dissemination and robust discussion in the areas of Liver and clinical research on all aspects of Liver and its diseases. Submissions for this Journal are accepted from the very basic Liver Research to the latest treatments and advancements. 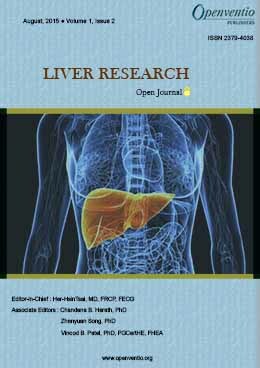 This journal publishes articles on basic to advanced liver research. All researchers, physicians, pharmacologists, clinicians, surgeons, general practitioners, educators, students and nurses working on liver research are encouraged to contribute for this journal. The journal accepts all types of articles such as original research, review, case report, mini review, editorial, short communications, book review, opinion, commentary, letter to the Editor, conference proceedings, technical report, errata, illustrations, etc. We are open to receive comments or any corrections from any potential scientists to improve the quality of our journal. We would be interested to hear any comments on improvement of journal quality from you .